Do you know how to network effectively? It’s not about just contacting your friends on LinkedIn — the ones you haven’t talked to in 5 years since your last job search. Instead, it’s about uncovering the right connections that are going to help open the right doors to get you hired. Let me teach you how with my networking scripts in ‘BOOST Your Network: Uncover the Right Contacts Who Can Open the Right Doors’. 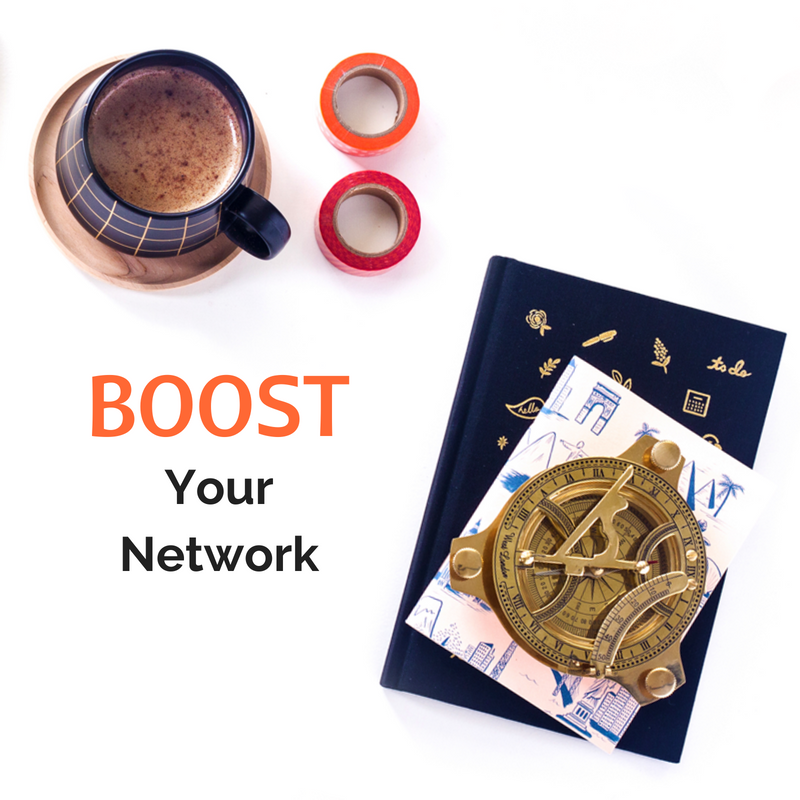 Shop the BOOST Your Network today. Does networking scare you, leave you with sweaty palms and a nervous stomach? Does it give you a headache to even think about it? Truth is, most professionals tend to neglect their professional network, except for that once in a blue moon when they need to find another job. If they are really good at networking, they might occasionally add someone to their LinkedIn profile and consider that a good effort. The reality is that most professionals don’t have the time to spend building a network (unless they’re in sales, that is) and focus on identifying the individuals who can open the right doors to get them hired. The average number of connections on LinkedIn is 930; and 41% of millionaires use LinkedIn. But what about your “average” career person who has been at the same company for the last 15 years – the person who has not been so diligent about updating their profile and adding connections, much less nurturing those relationships? Maybe you’re an introvert. Maybe you’ve never had to network to get a job because recruiters have always found you and wanted to hire you. What if I could demystify the entire process? What if I could give you the scripts you need to build your network effectively — to uncover the right contacts who can open the right doors so you get hired. That is exactly why I created the BOOST Your Network. I wanted to help professionals just like you go from worrying about how to get themselves in the door, sweaty palms and all, to having those doors opened for them as if by magic, to ultimately getting hired. Let me help you take the keys and uncover the right contacts who can open the right doors to get you into your dream job.